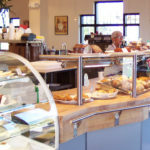 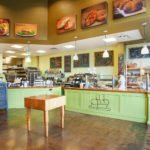 The WBRC interior fitout of shell space for John Dough Bakery and Café required a highly customized design to maximize use of the shell’s high ceilings and natural light, accommodations for an extensive array of baking and cooking equipment, and a creative use of materials to stretch the budget. 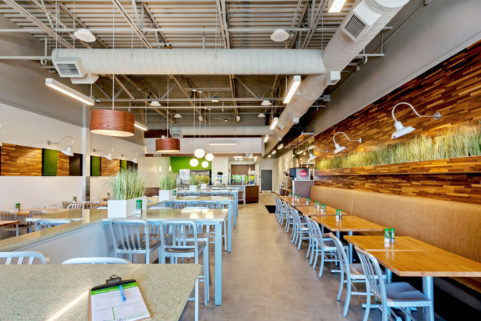 The café’s custom casework and ordering counter, eclectic eat-in spaces, and self-service beverage bar are unified through a pleasing mix of colors, textures, and forms. 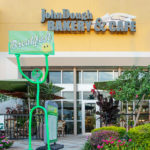 Now under new ownership, John Dough’s Bakery and Café continues to serve hungry customers from its location at the Shoppes at University Town Center. 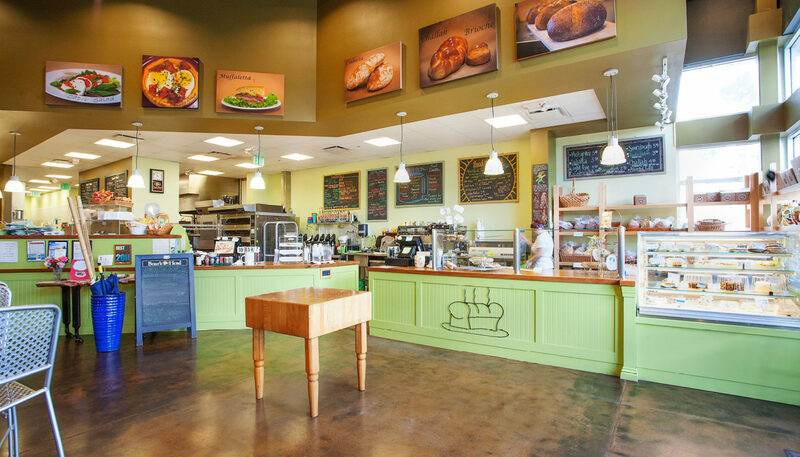 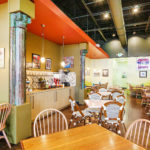 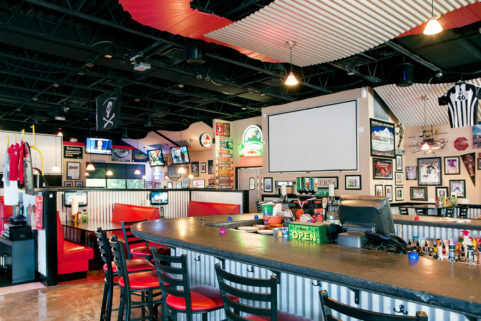 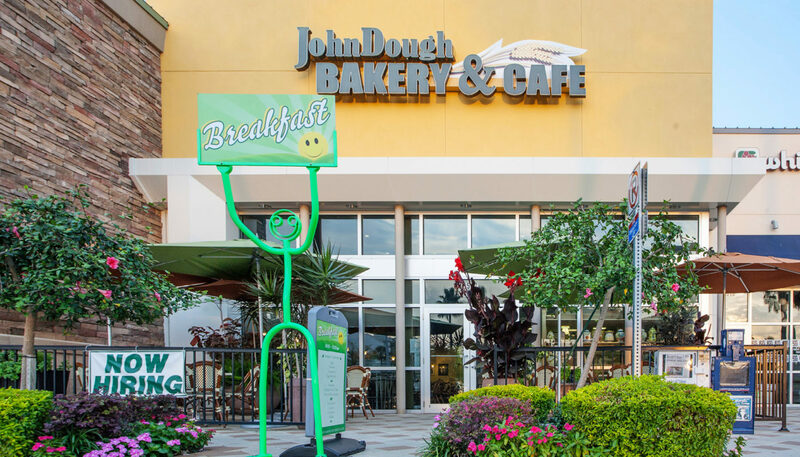 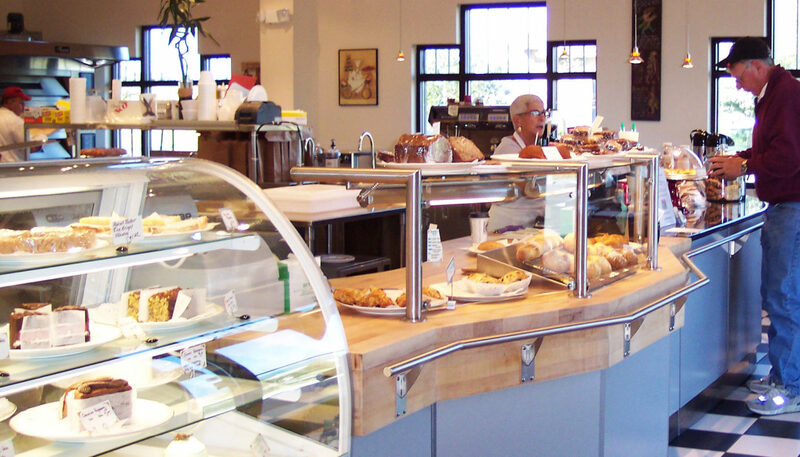 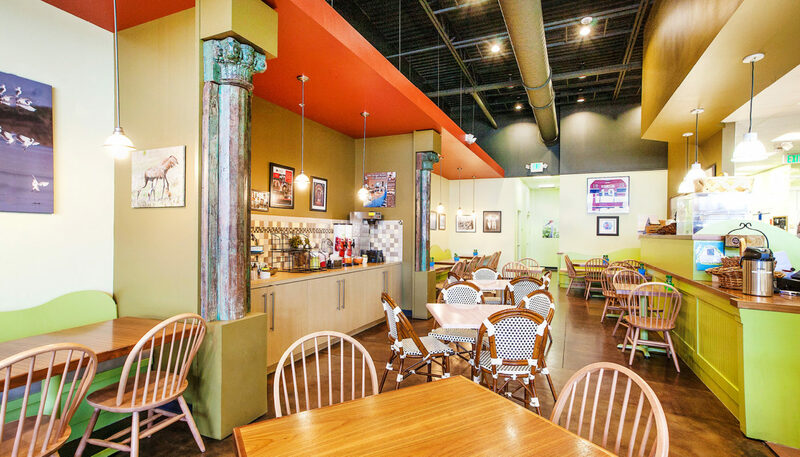 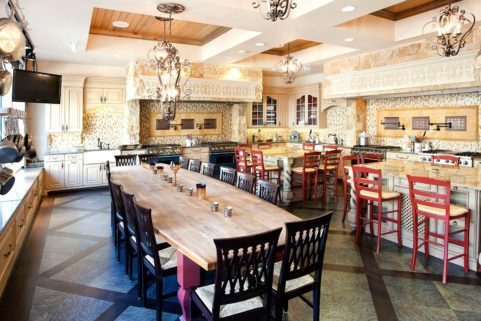 WBRC also completed a previous bakery/café fitout for John Dough at Lakewood Ranch Main Street.